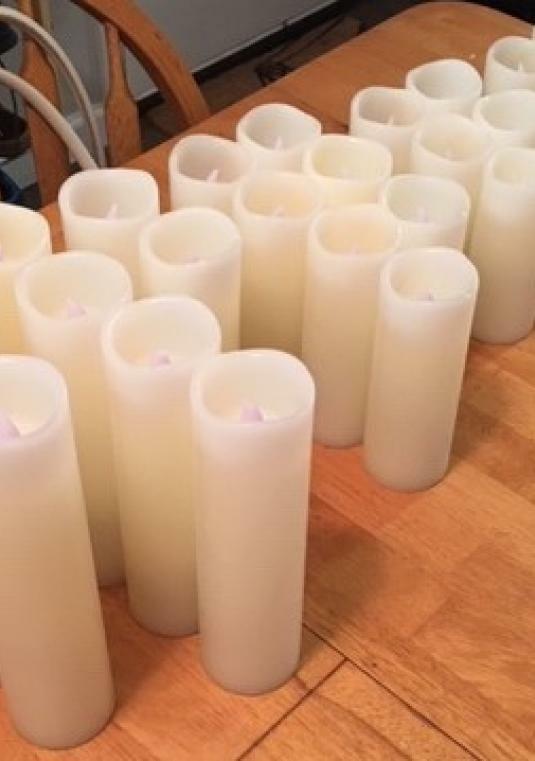 (27) various sizes LED candles. Each candle takes (2) AA Batteries (not included). Great for ceremony or reception centerpieces.